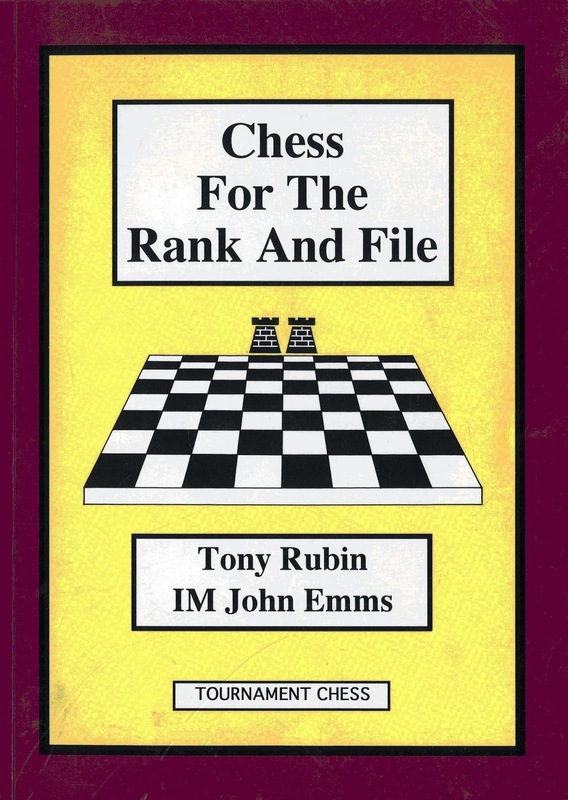 Tony Rubin: Chess for the Rank and File, published by Tournament Chess, Brighton 1992. 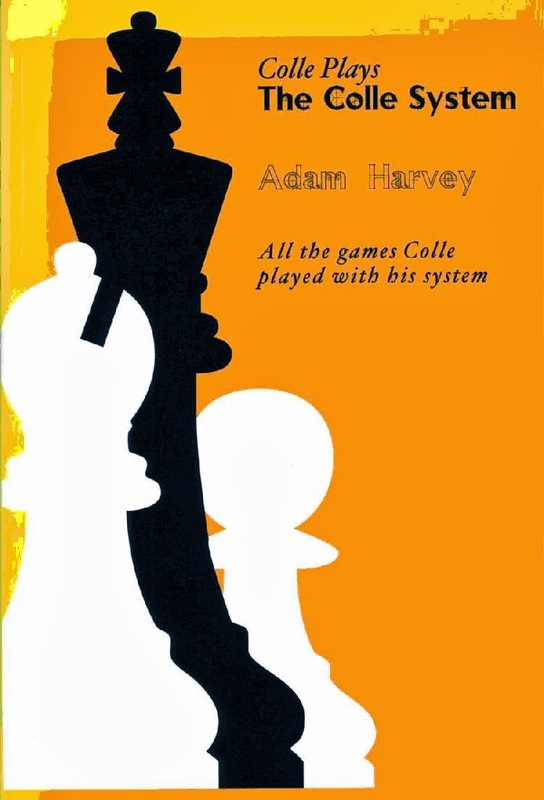 Adam Harvey: Colle Plays the Colle System, published by Chess Enterprises, Pennsylvania 2002. 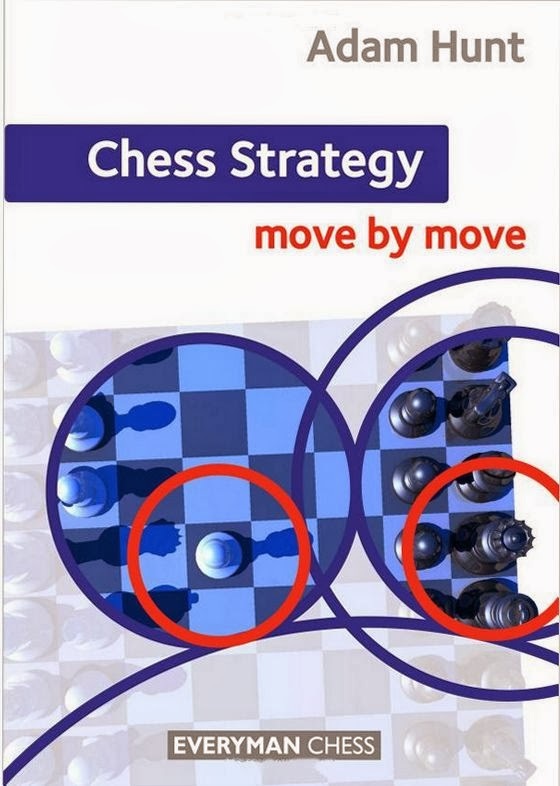 Adam Hunt: Chess Strategy: Move by Move, published by Everyman Chess 2013. Tony Rubin has now retired from chess but for many years was a leading member of Ipswich Chess Club. This book was written in collaboration with John Emms and between them they produced a very instructive and humorous chess handbook. Tony was not the first to use this title as W Roche and A Battersby had previously authored a chess book with the same title in 1947. Tony takes us through his chess career as it intertwined with his personal life incorporating many amusing anecdotes, including chess on his honeymoon! There is much of local interest with many of the games taken from Ipswich Club and Suffolk County matches. This book is full of practical advice from Rubin and Emms and studying this would almost certainly improve your chess, and give you a laugh. Adam Harvey carried out meticulous research to unearth and analyse all 116 games played by Edgard Colle using the opening system bearing his name. This book is therefore not only an anthology of Colle’s games but also an openings manual on the Colle System. Many brilliant games against the leading players of the era are included - Alekhine, Euwe, Marshall, Rubinstein, Tarrasch, Bogoljubow, Nimzowitsch etc. - enabling Adam to show all of Colle’s experiments in the variation (both successful and not so). Adam also provided a 16-page biography and tournament record of Colle, a chronological list of the games and a bibliography which, combined with the annotated games, provides an entertaining and informative book. Adam Hunt is an International Master and has recently brought out this brand new book with the aim of teaching chess strategy to club players and juniors. This seemingly complex subject is presented in a step-by step easy-to-read manner covering all of the strategical principles including development, king safety, attack, defence, initiative, pawn play etc. Adam encourages readers to answer relevant questions throughout the book thereby increasing their understanding and knowledge of the game. In summary Adam has produced an essential guide to chess strategy in which he uses an ideal approach to chess study so that important ideas are easily absorbed. The books by Tony Rubin and Adam Hunt are easily obtainable on the internet but Adam Harvey’s book has become quite scarce. Tony Rubin's book somehow found it's way onto my shelf (probably stolen from my father) a few years ago, and I can recommend it as an enjoyable read. Isn't GM Jon Levitt still resident in Suffolk? Genius in Chess & (with David Friedgood) Secrets of Spectacular Chess & maybe others I have forgotten about. Yes Kevin, you're right. I'll ask Jon to give me a list of his publications. I have a copy of Genius in Chess on sale at just £3.00! How many schools have chess clubs?